Fred. Olsen - "Bringing the World Closer"
Exclusive Discounts with Fred. Olsen! 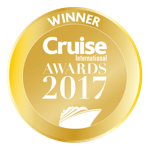 PLUS - Book one 2019/2020 Fly Cruise and receive upto £500pp on a 2018/2019 Fly Cruise*!